Knitted clothing and accessories in traditionally spun baby alpaca or alpaca wool and colored with natural substances from plants, sustainable products and fair trade traded. 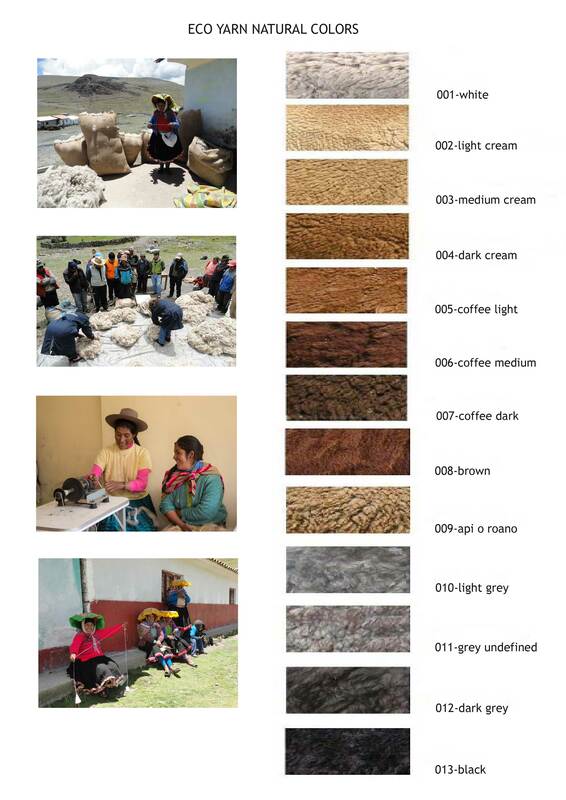 The alpaca wool is made on order, with a minimum of 10 kg per color, see the color chart below. 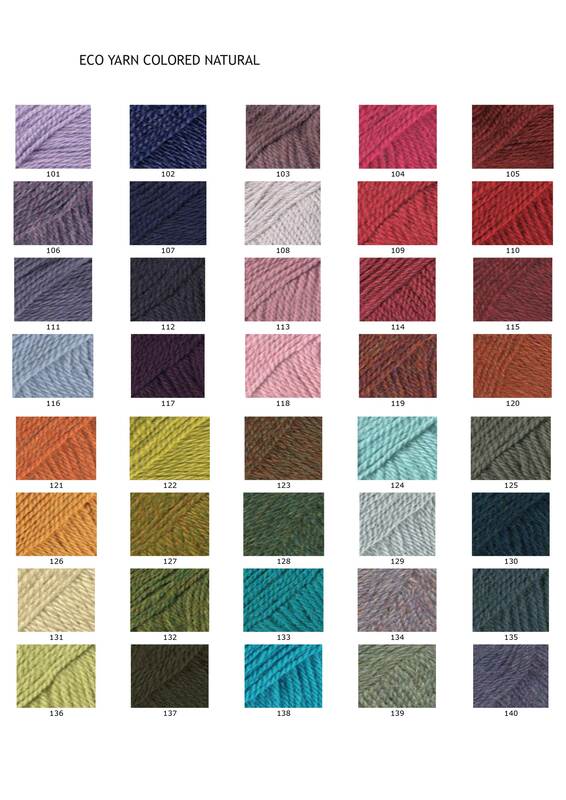 For fashion and accessories orders we use also this minimum of 10 kg per color. for 2 colors designs 20 kg etc. This eco (baby) alpaca is produced by small alpaca breeders, who work together in a cooperative of more than 225 families. These families live at an altitude of more than 4000 meters in the south of Perú where they take care of the alpacas. 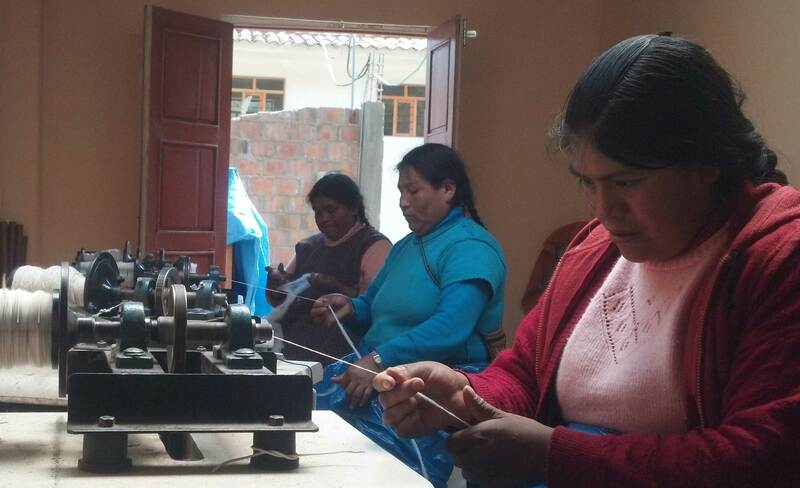 The wool of the alpacas is spun artisanally and sold in 20 natural colors or colored with natural dyes from plants.